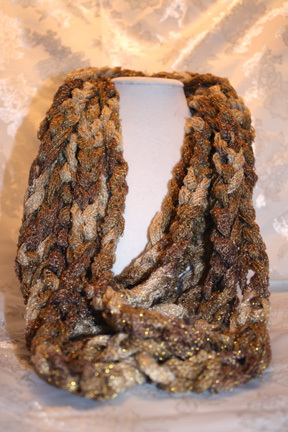 The colors are in gold tones with gold metallic thread running through. This scarf is in the chain pattern. The cost is $20.00.